Young people born in the 1980s belong to the first generation to have never known a world without HIV and AIDS. The numbers from the Centers for Disease Control and Prevention are alarming, with young people between the ages of 13 and 29 accounting for almost 40 percent of new HIV infections in the United States! In Arizona, people ages 25 to 29 had the highest infection rate (28.1 per 100,000), and people ages 20 to 24 come in second with 26.1 per 100,000. It is estimated that 13 percent of those infected with HIV (in all age groups) are unaware they are infected — and, among HIV-positive youth ages 18 to 24, an estimated 44 percent are unaware of their status. Help the next generation know a world where AIDS no longer poses a threat to a vibrant, healthy future. National Youth HIV & AIDS Awareness Day (NYHAAD) on April 10 provides an excellent opportunity to discuss the importance of prevention, promote HIV testing, and help reduce the stigma often associated with HIV and STDs in general. It’s been our tradition to start the new year off by thanking you — our Planned Parenthood supporters. You are the heart and soul of Planned Parenthood and you stand with us no matter what. Your commitment, bravery, and generosity means so much to the entire Planned Parenthood community. It’s because of you that Planned Parenthood health center doors are open today, and will remain open for years to come. As we begin this particular New Year — and continue celebrating Planned Parenthood’s 100th anniversary — we ask you to help us thank our visionary leader, Bryan Howard. Today is Bryan’s 20th anniversary as CEO of Planned Parenthood Arizona. Bryan has made it his life’s work to further Planned Parenthood’s mission and has inspired all of us to join with him to serve Arizona’s women and families. Bryan joined us on January 2, 1997, when he was only 36 years old, after having served various roles at Planned Parenthood in Chicago since 1984. Saturday, August 22, 8 a.m. to 11 a.m.
As part of a coordinated attack on women, opponents of reproductive health are staging a protest this Saturday in front of Planned Parenthood Arizona’s new headquarters. These extremists oppose access to reproductive health care and basic health education, and are rallying nationwide from the local level all the way to Capitol Hill. We have word that Rep. David Schweikert (R-AZ, 6th District) will be attending, and intends to shut down 15th Street in front of our new office to make way for the demonstration. In the wake of manipulatively edited “sting” videos, the Republican Party has intensified their attacks on the services that Planned Parenthood provides — and, by extension, they have intensified their attacks on the patients and families that Planned Parenthood serves. While the attempt to defund Planned Parenthood failed on the federal level, several states have already voted to defund Planned Parenthood health centers, and, if history is any guide, the assaults won’t stop there. 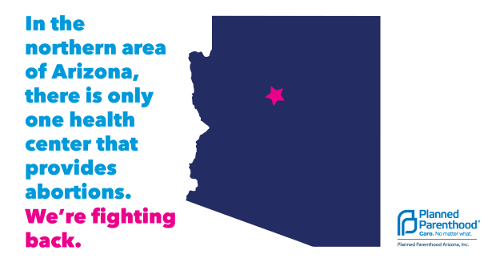 Opponents of reproductive health care have targeted Planned Parenthood health centers for decades — and, in that tradition, they will attempt to twist our new Arizona headquarters into a battleground in the fight for reproductive justice. You can help show the rest of Arizona what Planned Parenthood really is: a site for reproductive health care and education. To counter this Saturday’s vicious attack on women’s autonomy and everyone’s access to health care, please join us to celebrate reproductive justice and sexual health! Starting at 8 a.m., we will have coffee and doughnuts outside of our NEW headquarters at 4751 N. 15th Street in Phoenix, at the corner of 15th Street and Pierson Street. PPAZ will be opening our covered parking lot to our supporters, so we can rally comfortably in the shade! Please bring a photo ID, your pink attire, and positive spirits! Please Stand With PPAZ by showing up in pink at our RALLY WITH PPAZ! Wear pink if you have it! Feel free to get creative! Bring water, umbrellas, and other items to keep cool — it’s gonna get hot! 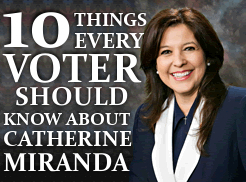 Please circulate this announcement to your lists and alert your folks! Let’s turn out and Stand With PPAZ this Saturday! The following post comes to us via Jon Brown, a journalism student, aspiring voice actor, and current Planned Parenthood Arizona intern. My name is Jon Brown. I’m a student at Arizona State University. I chose to intern at Planned Parenthood because, quite simply, I believe in what they do (yes, guys support Planned Parenthood too). From campaigning for women’s rights during the era of suffrage to pushing uncomfortable yet necessary conversations (such as STD testing) into public focus, I have stood by their beliefs and I admire them for having the courage to stand up on controversial issues when no one else will. I expected more of a passive role when I first started working here. I couldn’t have been more wrong. 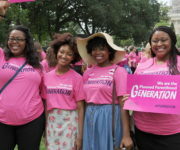 Planned Parenthood doesn’t only focus on women’s issues, they tackle any social issue that they feel needs addressing. At a recent luncheon called I Stand with Planned Parenthood, they brought on guest speaker Ashley Spillane, who is the president of Rock the Vote, an organization dedicated to increasing the youth involvement in politics.